As apartment tenants lose their homes to wealthier renters in the metro, a fund is being established to prevent the displacement that occurs when developers aim for more upscale markets. With the help of a $3 million contribution from Hennepin County, a $25 million fund is being assembled to purchase properties at risk of being purchased, renovated and gentrified. A metro rental market experiencing a vacancy rate under 3 percent has made certain apartment complexes attractive to developers looking to leverage that demand. 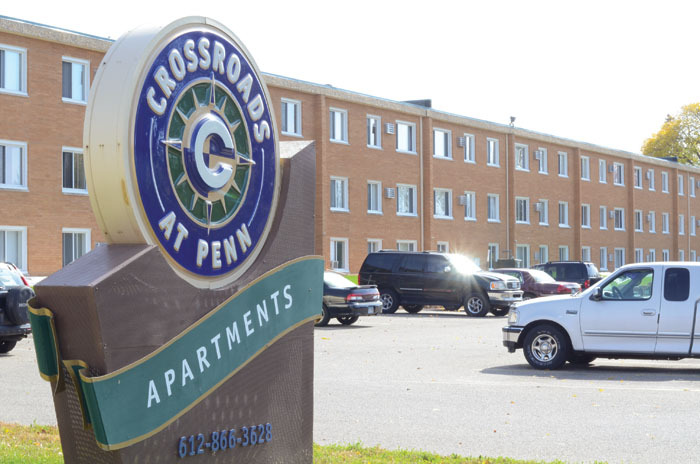 Examples of this in the past year include the 695-unit Crossroads at Penn Apartments in Richfield and St. Louis Park’s 350-unit Meadowbrook Manor complex. In both instances, developers purchased the properties with aims to renovate and increase rent, among other policy changes that put longtime tenants’ homes in jeopardy. In only a few months’ time, the Twin Cities area has seen 1,300 units affected in this fashion, housing advocate Eric Hauge told the Hennepin County Board June 14, before commissioners approved the $3 million in county funds in a 7-0 vote. “Those numbers far outweigh what has been produced in even the seven-county metro area in the last couple years,” said Hauge, an organizer with Homeline, an organization providing legal resources for tenants. To address the phenomenon, the Greater Minnesota Housing Fund is establishing a pool of money to purchase an estimated 1,000 apartment units across the seven-county metro area, Warren Hanson, the organization’s director, explained. Read the full story online at the Sun Current.